West Elm is opening a store in Indy! Woohoo! I don't remember when I first heard of West Elm but it was a few years ago and I've been a fan ever since. If you've never heard of it I would say it is like a cooler more modern version of Pottery Barn which means I can't really afford much but it is all so pretty to look at. Actually, their prices aren't that bad I just have to not be so cheap when it comes to buying furniture. Parson's Desk $349. 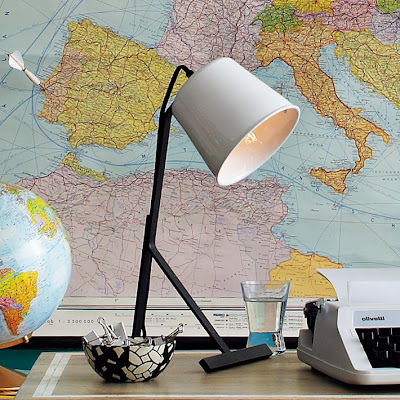 If you read any other blogs or design magazines than you have surely seen this desk. 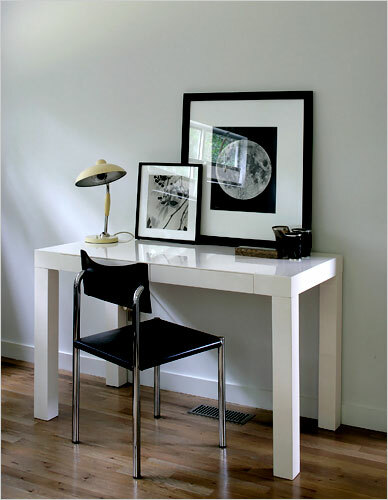 It is a classic desk that can be used for many different purposes and with all kinds of interior design styles. 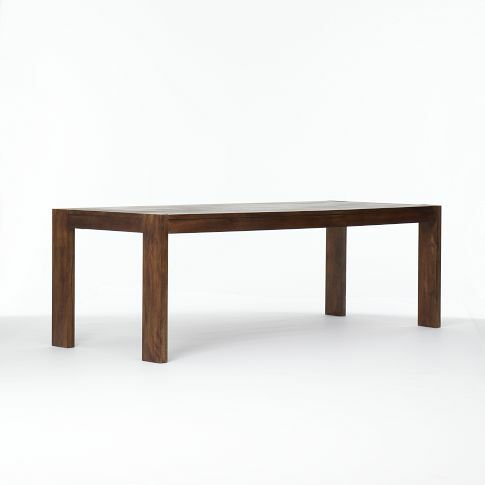 Boerum Dining Table $509. I LOVE this table. It is such a classic farmhouse style that it could be styled any number of ways. This is also a great price for a dining table. If you are like me any price over $100 is painful, but dining room tables are crazy expensive so $509 isn't bad. It doesn't come with chairs but probably the best thing you could ever do is not buy a matching dining room set ever again (I have one so I'm not judging). A table like this with white plastic S chairs or fabric parsons chairs would look great. 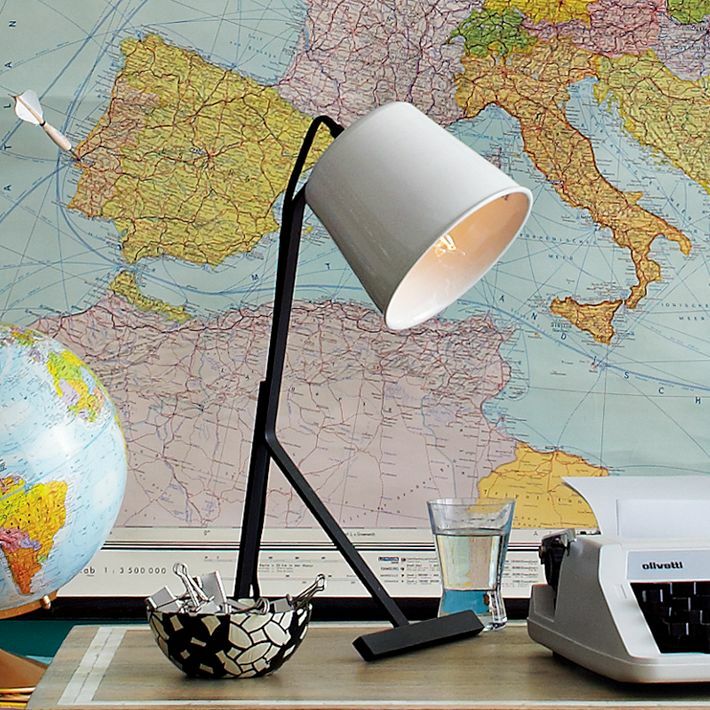 Dokter + Misses Table Lamp $79. 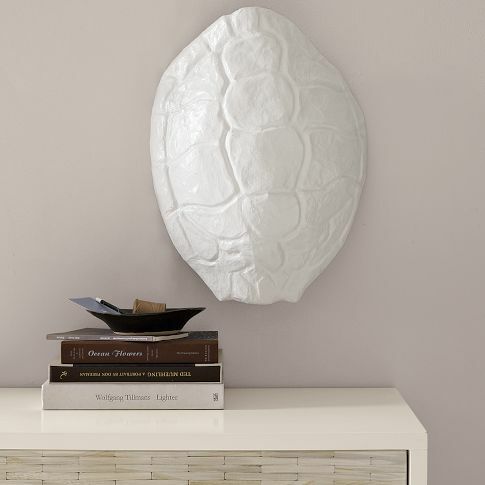 I love this lamp because it is a unique enough design that you won't feel like you are spending your money on something you could just pick up at Target for $30. Alyson Fox Pillow Covers $34. 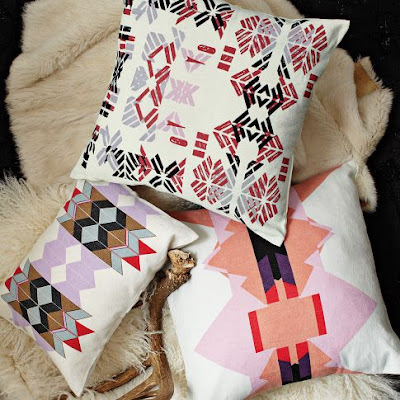 West Elm always has cool pillow covers and these are no exception. They often have 'guest artists' who design cool stuff like these pillows by Alyson Fox. 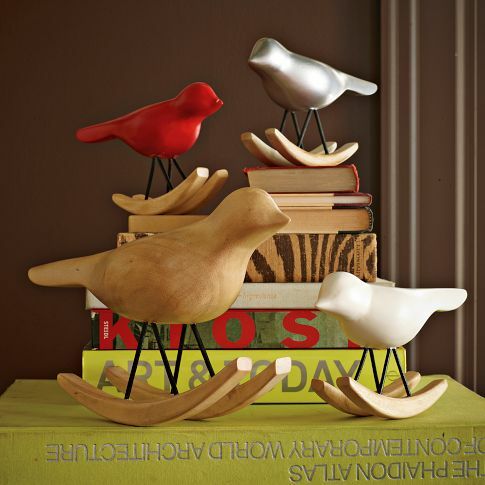 Rocking Birds $14-$29. Do you need rocking birds? Of course not, but how freaking adorable are these??? I chose this to represent the whimsical side of West Elm. Their accessories aren't as funny as CB2's but they have few things that I just love because of their randomness. 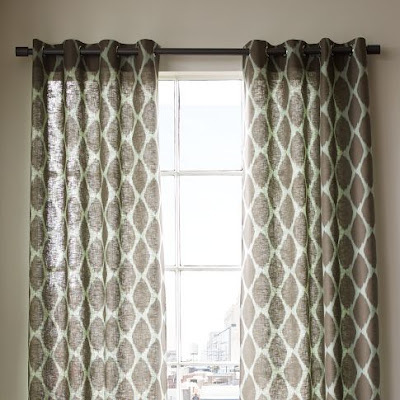 Ikat Ogee Linen Window Panel $69 per panel. These curtains are one of the three things I own from West Elm. They are currently at my parent's house but I should get them back because I like them. I do not remember paying this much for them though... either I am in denial or they were way cheaper a year ago! If you are looking for nice curtains West Elm has a lot of lovely options (though they aren't cheap). Windows Day Bed $449. This is also a very popular West Elm item. I would love to own one of these for my soon to be screened in front porch. 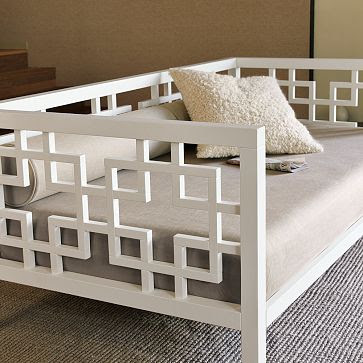 I actually own a West Elm daybed which I got on Craigslist (picture here) for only $150 so I'm happy enough. Tortoise Shell $79. As I mentioned here, Nate Berkus' collection at Target is selling a similar tortoise shell, but West Elm was the originator (or at least it is the first place I saw it but maybe they took the idea from someone else). Tali Printed Shower Curtain $39. The third West Elm item I own is my shower curtain which I love. West Elm usually has a good selection of unique shower curtains all for about $39. 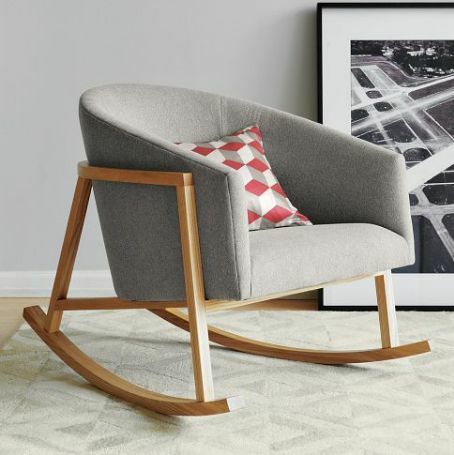 Ryder Rocking Chair $489. I exaggerate a lot but when I tell you that I have dreams about this chair that is no joke. I literally dreamed about it a few months ago. I love this because it so unique, practical, and beautiful - that is serious triple threat in design! 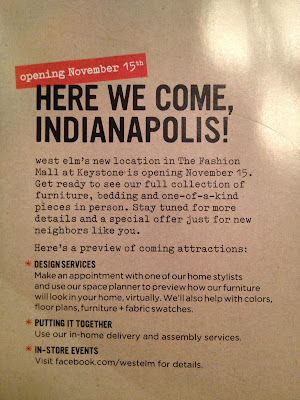 If you live in Indy you should definitely check out West Elm when it opens or at the very least you should go here and sign up to get their catalog. No Sew Pillows = FAIL.